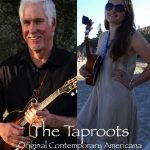 The Taproots perform a lively blend of original contemporary Americana music incorporating, rock, folk and jazz influences, as well a unique renditions of cover tunes. 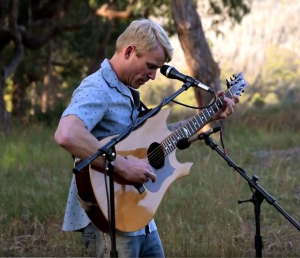 They have been steadily performing at concerts, wineries, breweries and private events since 2016, as both a quartet and duo, depending on the venue. The duo features strong harmonies from Nicole Cassingham on vocals and ukuele, and Tom Walters on vocals and guitar. The full band features the innovative, veteran guitarist Bruce Corelitz on acoustic and electric guitars and Vaughn Kaser on drums/percussion. 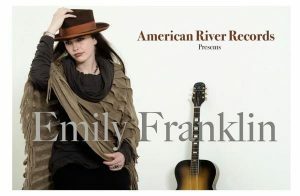 Emily Franklin is a musician from the central coast of CA. 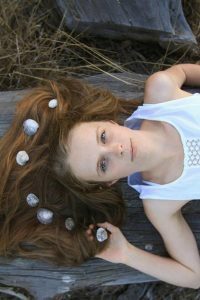 She has grown up learning to play guitar and piano from her dad, and always singing with her mom since before she could remember. Her favorites as a child were The Beatles and Fiona Apple (some of her earliest memories are mom singing along to them in the car), the “Harry Potter” soundtrack (singing the entire theme over and over for weeks after seeing the film once), and – of course – the entire “Grease” soundtrack (which was sang and danced to in its’ entirety many times with her cousins in the living room). Emily’s dad turned her on to talented singers from Christina Aguilera to Bjork to Aretha Franklin to help train her vocal range and musical diversity early on. As her taste has developed she has grown to love Amy Winehouse, Eva Cassidy, Alanis Morissette, Elton John, Joni Mitchell, Janice Joplin, Frank Sinatra, Carole King, and so many more. She has her boyfriend Zane to thank for turning her onto artists like Ray Charles, Jerry Lee Lewis, and The Devil Makes Three – now some of her all time favorites. Emily loves the soul of blues artists like Etta James, Susan Tedeschi and Ray Charles; the cool passion of jazz musicians like Sarah Vaughan, Bill Evans and Norah Jones.